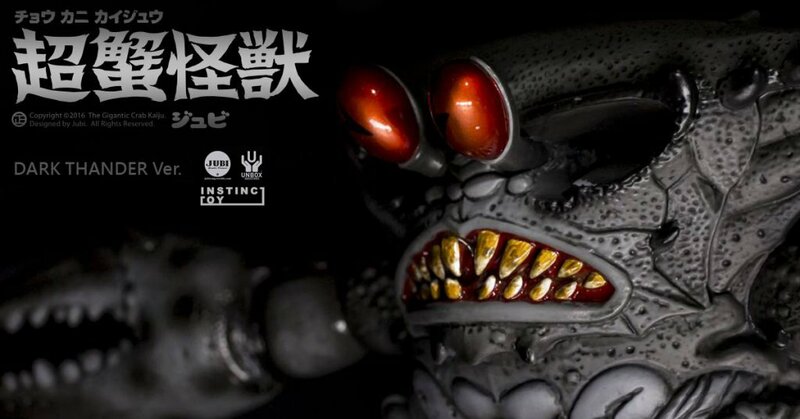 First seen and sold out at Designer Con 2017, The Gigantic Crab Kaiju DARK THUNDER Ver By JUBI x NSTINCTOY x Unbox Industries. The creature from the deepest ocean rises once more! JUBI’s “The Gigantic Crab” makes a return JUBI is giving collectors a chance to own one! Yes you’ll be happy to know JUBI is offering you a lotto style entry to the much sort-after DARK THUNDER Ver. PLEASE REMEMBER DO NOT FEED AT NIGHT, you’ve been warned. Will be contacted by email on January 12th. ※We will only contact back by email the winners of the draw. Payment will take place through PayPal. ※Hong Kong Please use Chinese. Way to go Unbox Industries and Jubiyang! Follow Jubiyang on Facebook, Instagram & Twitter.